If you have ever been to the dentist, then you have probably had a dental X-ray done. But, are dental X-rays actually needed? Without dental insurance, dental X-rays can be fairly expensive, and you more than likely do not want to have more done then what is needed. While there may be visits where a dental X-ray is not required, most trips to the dentist require the use of a dental X-ray, and you will learn exactly why in this article. In the event there is nothing wrong with your teeth, it may still be a good idea to have a dental X-ray done to ensure good dental health. With that said, there are certain precautions you can take to try and minimize the number of dental X-rays that are needed. 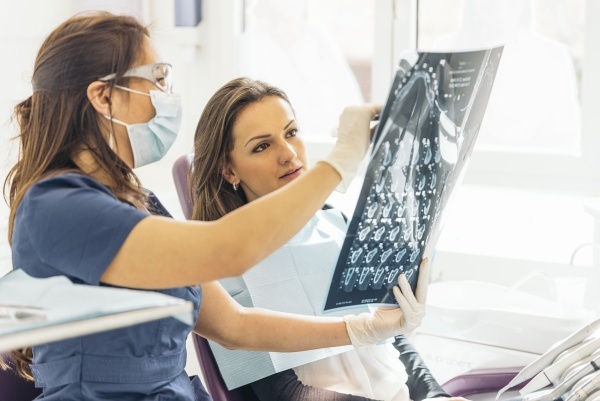 Dental X-rays – which are often referred to as radiographs – allow dentists the ability to see all aspects of your mouth, including between teeth, the tips of the roots and the bone underneath the gums. While many individuals associate the use of dental X-rays as means of checking for more serious problems, such as dental diseases, they also help dentists see less serious issues that they may not have spotted without the use of an X-ray, such as an infected tooth that requires a root canal or a cavity that needs to be filled. Therefore, in order for the dentist to ensure she or he does their job correctly and accurately while not missing any important complications, a dental X-ray is needed, especially when the dentist is unfamiliar with the patient's dental history. So dental X-rays serve a vital purpose for dentists to fully understand the dynamics of an individual's dental health, but how often is too often for a dental X-ray? Many patients are confused as to why a dentist continues to take dental X-rays when they already have one on file from earlier in the year. Although many dentists choose to do a thorough X-ray of a patient's mouth on the first visit and use that as a baseline going forward, it is important for dentists to conduct a new X-ray in the event that a patient experiences new problems with their mouth, such as bleeding gums or a sensitive tooth. With that said, a dentist typically only needs to update the x-rays once or twice a year in the event there are not any new problems that arise in the meantime. The key to minimizing the number of dental X-rays that are needed is to ensure that there are not any new problems that occur with your teeth, which means proper dental hygiene is crucial to ensuring that you are not paying more than you have to in X-ray costs. Be sure to brush your teeth several times each day, floss after every meal and limit your intake of foods high in sugar, to give yourself a great chance of not needing X-rays at every dental visit. Go to https://robertdaddiodds.com for dental X-ray information or call Robert Daddio D.D.S. & Associates at (760) 394-3088.